A velvety smooth, sweet tasting chocolatey drink that warms the heart and makes you feel right at home. But what’s actually in drinking chocolate, and where does it come from? Thick, creamy hot chocolate, with the perfect poor. Like many modern day food and drink, hot chocolate has undergone a huge makeover in the last decade. Once a largely synthetic chocolate milk powder filled with additives, it has since joined the movement of quality, premium and transparent products that consumers have come to demand. The Original Cocoa Traders (TOCT) were one of the first companies to inspire this change and bring hot chocolate into the the ‘free-from’ food market of the 21st century. How do you like your hot cup of cocoa? An assortment from TOCT. Helena Peda, co-founder of TOCT, had been working in the coffee trade when the idea was born. “We set up TOCT to service our own espresso business. 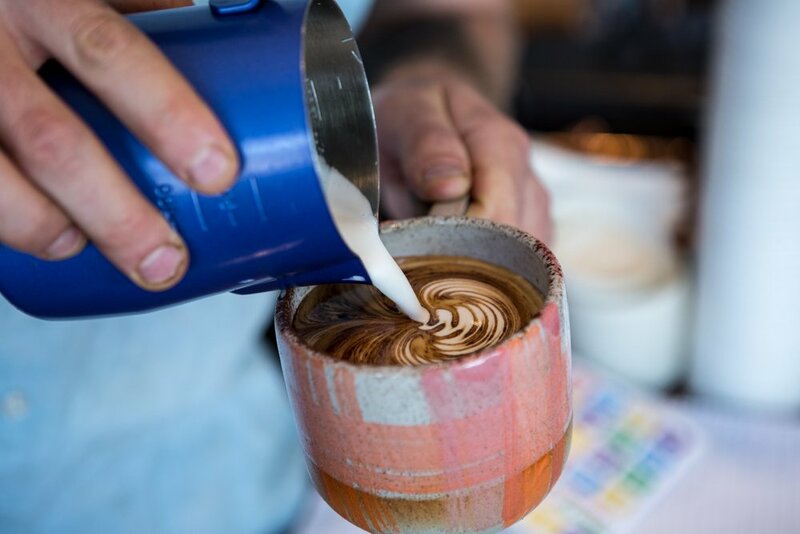 We had got into the specialty coffee movement that was happening in the early 2000’s and realised that we couldn’t find a drinking chocolate product that was free from gluten, dairy, fillers, potato or corn starch”. So in 2005, Helena and her business partners got to work creating a drinking chocolate formula that was, up until then, unheard of: a simple mix of cocoa and sugar, with no extra fillers or additives. The product went down a storm with their coffee shop customers and before long, TOCT were being asked to sell the drinking chocolate formula in bulk to other cafes so that they too could provide their customers with honest, ‘free-from’ drinking chocolate. But TOCT’s business model is not just about simplicity of the recipe; the origin of the cocoa is of equal concern to TOCT. The founders of TOCT know all too well that the cocoa trade has much to improve, and that businesses and entrepreneurs like them have a responsibility. In recent years, various reports have exposed slavery and child labor at the heart of cocoa farms in West Africa. The TOCT team tasting chocolate from all corners fo the globe. TOCT are constantly looking for ways to further improve the quality and transparency of their drinking chocolate, negotiating with farmers and ensuring they pay a premium so that the money can be reinvested into communities and education programmes. TOCT are in the process of negotiating with more cocoa farmers around the world, with plans to launch a new line of drinking chocolate this July. TOCT want to improve lives through increasing education in the communities it works with and become the world’s number one drinking chocolate; a drink that doesn't just taste good, but also does good. Chocolate flakes to top the thick chocolate goodness that is The Original Cocoa Traders premium hot chocolate. At MOTIF we drive revenue and profitability with strategies that are good for people and the planet. We integrate social and environmental development goals into businesses in ways that gain competitive advantage, market growth and drive innovation. We work with leaders of ambitious companies who are looking to make well-informed strategic decisions that have a positive global impact. Learn more about The Original Cocoa Traders here.